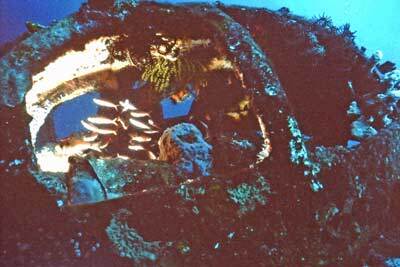 Michael McFadyen's Scuba Diving - Boeing B-17, When you visit Honiara in the Solomon Islands, you tend to do double dives. 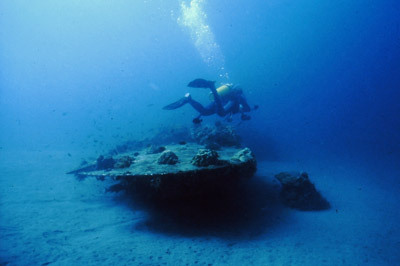 The main day trip is to the wrecks of the Bonegi Creek (Bonegi 1 and 2). 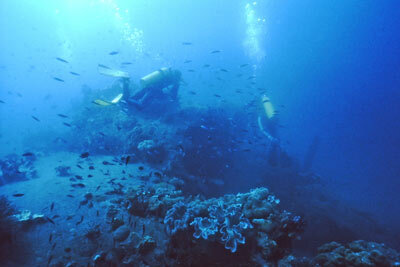 Yet another great double dive in the Solomon Islands is close by the capital of Honiara. 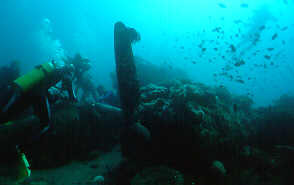 The first dive is the wreck of the Kyusyu Maru, better known by the name of the nearby creek, Ruiniu. The second is the Boeing B-17E plane. After diving the Kyusyu Maru, a great way to spend your surface interval is to go to Fred Kona's Vilu War Museum which is only seven kilometres further west. 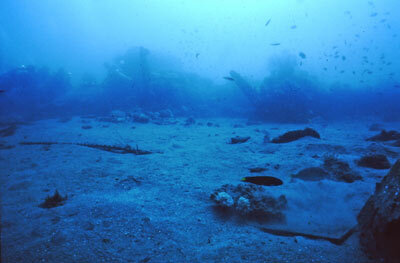 After the museum, it is a short drive (1.5 km) to the second dive site at Domo (or Ndomo). A little distance off the beach is the wreckage of a Boeing B-17E Flying Fortress. The B-17, probably the best known bomber in history, had its origins in a 1933 USAAC (US Army Air Corps) bomber requirement specification that looked far into the future. The specification, known as "Project A", required companies to propose a bomber with a wing span of 45 metres, a maximum weight of 27.25 tonnes, range of 8,050 kilometres and a bombload of over 900 kilograms. On 28 June 1934 a contract was issued to Boeing for the construction of one aircraft. This plane was known to Boeing as Model 294 and the military as XB-15. various changes were made to the specification and on 8 August 1934 Circular 35-26 was issued for a modified aircraft. On 18 June 1934 design work began on "Model 299". In late 1934 construction began on on a prototype and on 17 July 1935 it rolled out of the factory at Seattle, Washington. The plane was registered as NX13372 (civilian rego) and at the event, a reporter who was present nicknamed the plane the "Flying Fortress". The plane first flew on 28 July 1935 and 12 days later it was ready for delivery to the USAAC. On 10 August 1935 the plane was flown from Seattle to Wright Field, Dayton, Ohio. The 3,379 kilometre flight took nine hours. Unfortunately, on 30 October 1935 the plane stalled on takeoff and crashed at Wright Field. The two pilots died as a result of the crash and it was ascertained that the accident was caused by the crew not releasing some external locks on the elevators when she was on the ground. Despite the problems, 13 aircraft were ordered on 12 January 1936 as YB-17. Of interest, the original contract was issued to Douglas for a plane called the B-18 Bolo - a twin engined bomber based on the DC-3/C-47 Dakota that was unspectacularly used in the early days of WWII. The YB-17 was later redesignated as Y1B-17 and, after a few problems (including the loss of the third aircraft), the USAAC ordered 10 production planes on 3 August 1937. This was the start of the B-17! The first version was the B-17B and a total of 39 were built till production ceased in March 1940. None of these were used during World War II. Another 38 B-17Cs were built and production of this model ended in November 1940. The next model, B-17D, started in February 1941 and 42 were built by April 1941. On 5 September 1941 the first B-17E made its first flight. This was a major model change with the rear fueslage and tail greatly modified to the classic shape familiar to most people. During November 1941, 25 B-17Es were built. The Boeing B-17E Flying Fortress had a wingspan of 31.6 metres (over 103 feet) and length of 22.8 metres (almost 74 feet). Powered by four 1,200 hp Wright R-1829-65 nine cylinder turbo-charged engines, the B-17E was capable of a maxium speed of 318 mph (512 km/h), a cruising speed of 226 mph (364 km/h) and a range of 3,300 miles (5,310 km). Maximum weight was 53,000 pounds (24,062 kg) and a service ceiling of 36,000 feet (10,980 metres). Armament was twin guns in top, bottom and rear turrets, one gun in radio compartment firing through roof and one on each side ahead of the tail. All guns were Browning M-2 0.50 inch (12.7 mm) machine guns. The B-17E could carry a normal bomb load of 6,000 lbs (2,742 kg). The B-17 was used extensively in the all spheres of the Second World War, including the Pacific campaign. During July 1943, Boeing produced over 2,400 B-17s. A total of 12,731 B-17s were built and a couple were still being used as late as 1985 as fire-fighting aircraft in the US. On 17 November 1941, a Boeing B-17E built at the Boeing Seattle (Washington) plant, designated 41-2420, chassis 2231, was delivered to Salt Lake City, Utah, and then (on 20 November 1941?) to Sacremento Air Depot, McClellan Army Air Force Base, California. The plane was later named Bessie, Jap Basher or Bessie the Jap Basher (not Bessie the Jap Smasher as is sometimes stated). On 15 December 1941, this plane was assigned to the 42nd Bombardment Squadron of the 11 Bombardment Group (42BS/11BG) of the Thirteenth Air Force, South Pacific Theatre of Operations. The Squadron transferred to Hickam Field at Honolulu, Hawaii, on 22 July 1942. It is possible that 41-2420 was moved to Honiara on the island of Guadalcanal in the Solomon Islands in late September 1942. This guess is based on information in Peter Stone's book The Lady and the President on the wreck of the SS President Coolidge which also discusses the building of airstrips on Espiritu Santo in Vanuatu (ex New Hebrides). The first one was opened only days before this plane was lost so it is likely that the plane arrived on Guadalcanal from Santo. On this flight it was attacked by a number of Japanese Mitsubishi A6M Zero-Sen fighters and badly damaged. It lost power in one engine and was attempting to limp home to its base at Henderson Airfield on Guadalcanal. 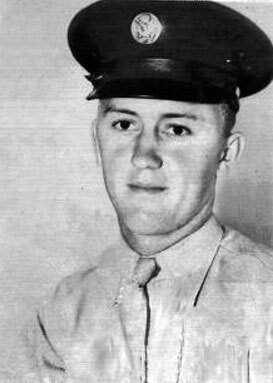 Unfortunately, the plane was in severe trouble and when it gained the coast of Guadalcanal the pilot, Lieutenant Charles E. Norton, radioed Henderson that he was going to attempt to ditch the plane off the shores of Japanese-occupied northern Guadalcanal. Lieutenant Norton put the plane down on the water just 50 metres or so off the village of Ndomo (or Domo), only 12 miles short of Henderson Airfield (now the international airport for Honiara). Two young boys from the village heard the plane passing overhead and then heard the plane crash into the water. They immediately went to the ocean's edge but they did not see anything other than some waves from the crashed plane. Unknown to the boys, at least two of the eight crew escaped from the plane. It is possible that they all got out, either parachuting earlier or once it crashed. Anyway, after it hit, it is certain that Lieutenant Norton and Sergeant Bruce W. Osborne somehow got out of the plane and made it to shore. The two boys went looking for the plane the next morning, swimming out from the shore and diving down in an attempt to find the remains. They were not successful. Lieutenant Norton struggled to shore and pulled himself up the rough coral beach into the jungle. As indicated earlier, this section of Guadalcanal was occupied by the Japanese Army so he was unable to get assistance. Presumably he also did not know if the natives could be trusted so he did not seek them out. He was badly injured, with a broken leg among his injuries. He made a splint from pieces of wood and fixed it with his belt. He ate nuts to survive. For six days he hid successfully from the Japanese. On Wednesday 30 September 1942, while hiding under long grass, a Japanese soldier found Lieutenant Norton. This soldier was under the command of First Lieutenant Yoshi Takeda. Lieutenant Norton was taken to the Japanese Battalion Headquarters where he died as he arrived. Sergeant Osborne also got ashore but it is not know what happened to him. 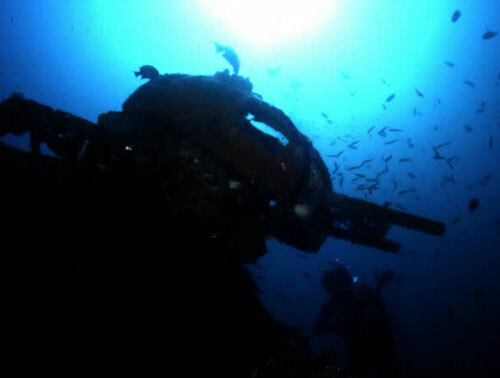 His skeleton was found in the jungle in late January 1944 by American Seabees (Seabees is based on the initials CB which stand for the Construction battalions of the US Navy). Perhaps he came ashore with Lieutenant Norton, we will never know. The fate of the other six crew is also not known. 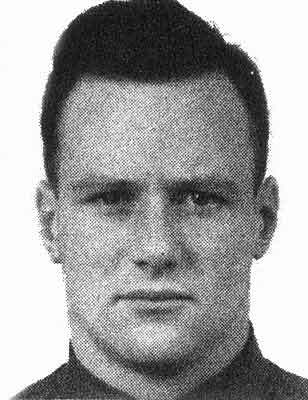 The rest of the crew were First Lieutenant Bruce B. Barker, First Lieutenant Leo M. Eminger, Staff Sergeant Peter F. Novak, Staff Sergeant William Hotard, Staff Sergeant Fred Schrock Croyle, Sergeant James R. Mathewson and Edward A. Carroll. They were not found in the plane so they obviously got out. It may have been that these six parachuted before the plane hit the water. Whatever happened, they did not survive. On 29 January 1944 the 61st US Navy Seabees located the B-17. 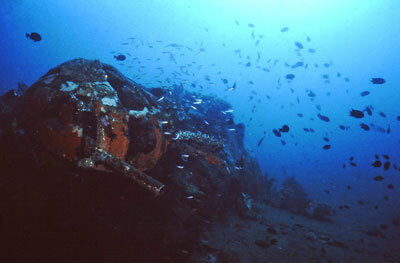 Two days later divers explored the wreck of the plane. They noted bullet holes in the fuselage but found no indication of a fire. They reported that there were four parachutes inside the plane. The tail gunner's section was badly burnt (this of course contradicts the previous sentence). An explosion rear of the wings had broken the fuselage. A report on Pacific Wrecks Web Site (see references) says that the right wing was broken off at the body with only a small fragment intact. This is not correct as when I dived it the wings were basically intact. The report also says that the engines were intact but between No 1 and No 2 engines on the left wing was a large hole. I do not recall this hole. Their search discovered no bones inside. Captain George Sagli was present on the morning of 31 January 1944 when the Seabees attempted to recover the fuselage and tail assembly. 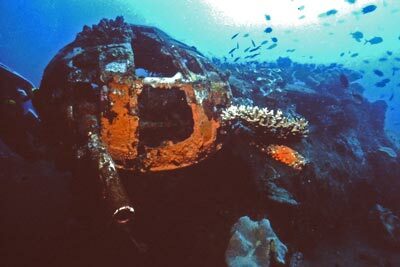 He noted bullet holes in the fuselage and the fact it was covered in barnacles. SF1C S. C. Kelly, 61st Seabees is reported on the Pacific Wrecks Web Site as saying "I hooked on to the tail skid and that section with part of the fuselage up to the wings was pulled ashore. The water was so riled [sic] it was impossible to see into the main section of the plane to examine further. To the best of my knowledge there were no bodies in that part of the plane that I could get into at that time". (note that I have corrected what appears to be two spelling errors in this quote). On 19 February 1944 T/4 Robert W. Cannon, HQ Forward Area and others was sent to examine the wreckage of the B-17 for bodies. They found items belonging to several crew, including the pilot's brief case with "C. E. Norton" on it, but no bones. As mentioned above, during the salvage attempt, the tail section behind the ball-turret gun was broken off and was dragged ashore. It is now not to be seen. The remaining forward section of the plane is in one piece, with the ball turret nearby. The plane was condemned as salvage on 8 October 1944. The missing men were officially declared dead on 7 January 1946. As mentioned, the plane is not far from the shore and it is a very easy enter off the local beach. One in the water, you swim out about 20 metres and then drop to the bottom and swim the rest of the way out. One thing to look for between the shore and the plane are the garden eels which normally sway to and fro in the surge with their bodies out of the sand. As you approach they withdraw into the sand and after you pass they again appear. The plane will be visible after a short swim. It lies on a sloping sandy bottom with the port wing at 17 metres and the starboard wing in 9 metres. The ball turret lies on the sand behind the fuselage and you can enter the plane through this area. There is not much room inside, but you can move through the radio operator's compartment into the bomb-bay area. From memory you can exit the plane at the rear where the fuselage is broken. On the outside, the dorsel turret's twin 0.50 inch machine guns still point menacingly away from the plane and make a great photograph. At the front of the plane, the cockpit can be examined as it is a bit broken open here. There is a fair bit of damage to this section of the plane. The cockpit windscreen is smashed to pieces and missing. Inside the cockpit, the engine and rudder controls are still plainly visible. When I dived it there was a very aggressive little fish that was near the throttle controls, he took a large bite out of one of my gloves. The nose section of the plane has been damaged by the crash landing but is still intact, if somewhat bent. The engines and wings are complete and the propeller blades are mostly still on their hubs. Deeper, away from the plane, are some pieces of the Boeing that are interesting to examine. I recall seeing some batteries and other things. The visibility here can be good (about 15 metres) but it can also be easily stirred up as the sand is very fine. 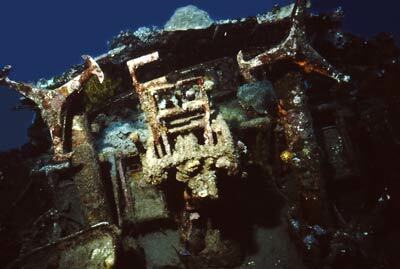 Good buoyancy here is very important, especially if you are interested in photographing the wreck. NOTE: Above underwater photos scanned in 2011 from slides taken in 1992 using Nikonos IV-A. The Big Death a short film by Juniper Films broadcast as part of Pacifica - Tales from the South Seas on SBS Television, 6pm Sunday 31 August 1997. 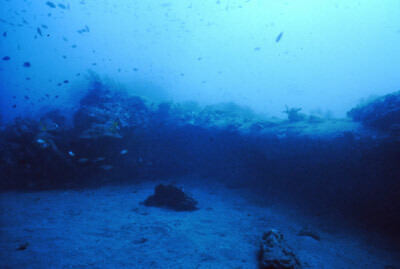 I understand that in early or mid 2009 the plane was moved by seas or a flood and is now said to be a very dirty dive. Fred Kona's War Museum still exists and can be visited.